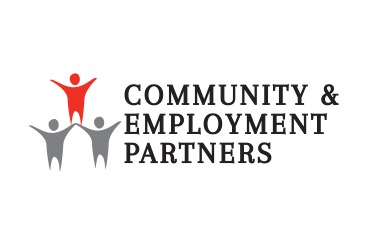 Through Abilities Network’s Community and Employment Partners program, staff work with individuals and their families to develop a customized plan that guides individuals to personal success. To better understand our CEP program, here’s a story about two brothers who have shown that with hard work and determination, and some help from our staff, opportunity may just knock twice. We were introduced to Jason and Tyler in August 2009. From the beginning, both young men were actively pursuing their associate’s degrees from Anne Arundel Community College. At each meeting held with their teams, emphasis was placed on the need for job development after graduation. Their teams took a proactive approach – outlining steps for the twins varying from resume completion, interview skills practice and job research, to employment networking and the practice of application completion. In June 2012, Jason and Tyler successfully received their associate’s degrees from Anne Arundel Community College; the intensity of the job development process took off from there! Staff and the twins were out to accomplish one key objective: paid employment. Applications were submitted one after the other. Although the twins and staff were following up, there was little follow up from any of the potential employers. Jason and Tyler were becoming discouraged, but their teams continued to motivate them and maintained positive communication with their family. A few months later, following an interview with Giant, the twins received news that they both had been hired! Although the position for bagger/cart attendant was intended for one person, the manager at the store created a double opportunity for Jason and Tyler. Today, the twins continue to be diligent and valuable employees of the company. To challenge the community to acknowledge the value and equality of people of all abilities.